A decision by California lawmakers to raid $1.4 billion from the judicial system during the budget crisis is having a direct impact on a $267 million courthouse construction project in Modesto, according to the ModBee. With 23 courthouse construction projects in the works across the state, the budget raid could have implications well beyond the city borders. The Judicial Council of California’s Court Facilities Advisory Committee met on June 28th in San Francisco to go over courthouse construction funding, and found it is coming up short. Very short. The Council directed the staff to develop funding recommendations, in concert with the Department of Finance, in advance of their next meeting August 4th. We’ll continue to follow the story, and you can get caught up with full details at the full Modesto Bee article here. As court funding continues its downward slide, one bit of good news for California courts is a potential policy reversal on rainy day funds. With the Great Recession, lawmakers were seeking every possible penny to pinch. As such, they limited the judicial system’s ability to squirrel away money in their rainy day fund when they came in under budget. The fund was limited to just one percent of their unspent dollars. Court budgets have been slashed across the country, but California has seen a significant number of courthouses actually close. “My first official act as mayor was to take a phone call from the presiding judge of the San Bernardino County court informing me that the courthouse in Big Bear Lake was to be closed. Barstow, Needles and Twin Peaks were also being closed,” he said in an interview. “Through the ensuing years I saw firsthand the impact that a lack of access to justice could have. That’s given me a deeper appreciation for what our courts do,” he said. Read the full story at Courthouse News. The deep budget cuts to California Courts have not gone away, and a Courthouse News story illustrates how the judicial system is trying to re-allocate judges to lessen impacts. The CN explains a recent Judicial Council debate on how much leeway the group should have in shifting judgeship around the state, a controversial issue in part because of impacts on local elections – the Golden State elects its trial judges, but incumbents seldom face real competition. The CN backgrounds that “California’s trial courts are suffering from a shortage of about 270 judges, Judicial Council lobbyist Cory Jasperson told the Policy Coordination and Liaison Committee… meeting by phone, the committee debated whether to move forward with legislative language that would grant the council discretion to dole out vacant judgeships. A recent conference hosted by the Independent Voter Project in California hit upon an issue we’ve been reporting on repeatedly here at CCM. California courts are filling with a backlog of out-of-state cases, as class action lawsuits fill the courts. This, in turn, is buckling the limited resources of the court system, leaving California residents either without nearby courts, or pushing their cases to the back of the line. Reporter Mike Lamb writes about one impact of the change “… a state judiciary report that was released in August showed San Bernardino County kept more of its felony cases on the docket after 12 months than any other county in California during fiscal year 2012-13. The report showed that county courtrooms are dealing with massive caseloads.” Adjusting the civil caseload might help with that backlog. The CN also notes that “… the courts have seen diminished revenues from case filing fees and penalties for two fiscal years now. 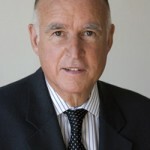 Brown’s budget included $66 million to compensate for that deficit, but the Trial Court Trust Fund is still short $22.7 million… the council voted unanimously to take the money out of the $90.6 million before it is allocated to the courts. See a reminder that the California budget cuts are the new normal here. 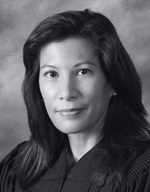 In the wake of that state auditor’s report questioning some $30 million in judicial branch spending Audit finds $30 million in ‘questionable’ court spending and salaries, California’s Chief Justice Tani Cantil-Sakauye is going on the defensive. In a relatively rare SoCal TV interview with Los Angeles NBC affiliate Channel 4. It seems Gov. 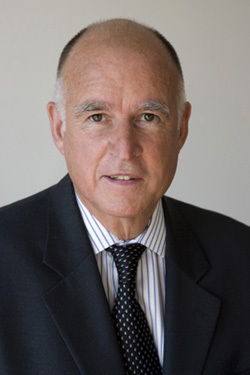 Jerry Brown is increasing California judicial branch funding this year, not only moving closer to pre-recession levels but also singling our specific areas – like employee benefits – to illustrate where the money should go. The Mercury-News explains that “… the governor’s 2015-16 budget bumps the state court system’s budget from last year’s $3.29 billion to $3.47 billion, with most of that increase headed to the 58 trial courts around California hit hardest by past cutbacks. 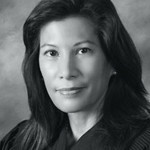 Courts in counties across the state, including Bay Area systems in Santa Clara, San Mateo, Alameda and Contra Costa counties, have been forced to reduce public hours, lay off employees and shutter remote courthouses as a result of prior cuts that at one point exceeded $1 billion over several years. Under the governor’s budget, the judiciary’s budget would inch closer to the $3.7 billion allocated in 2007-08. In fact, with the use of trial court reserve money required under previous budgets, the governor’s staff pegs spending on the judicial branch at about $3.7 billion in the 2015-16 fiscal year. California’s court management blew $30 million over four years on what a state audit is calling “questionable” expenses and salaries. The audit is sure to become an issue as the state heads into budget season with court leadership seeking to replace some $1 billion of recent-years cuts. The audit was ordered by the state Legislature as part of the back-and-forth with court supporters who seek more funding. Some lawmakers have argued that the court administrators are not taking care of the purse strings. The debate has at least brought a re-branding: the Judicial Council, the policymaking arm of the courts, was previously called the Administrative Office of the Courts, or the AOC.